I got in touch with Sharon one of the parents a few months back in June ago who were helping with organising the Year 6 Graduation night for Eatons Hill State School students. We sat down over a drink discussions options, plans, over at the Eatons Hill hotel. There was quite a bit to organise! From Lecturns, to Slideshows, to Song choices, to Microphones – PA systems and more. It was quite a big event for me, so we had to make sure everything was right as Eatons Hill were not providing any Sound System. After sitting down and going through everything – we setup Run Sheets, and discussed the Slideshow requirements as well. I headed over to Eatons Hill Hotel pretty early to start setting up – I had heaps to do. Speakers, Lights, Mic, Slideshow…. the list goes on. 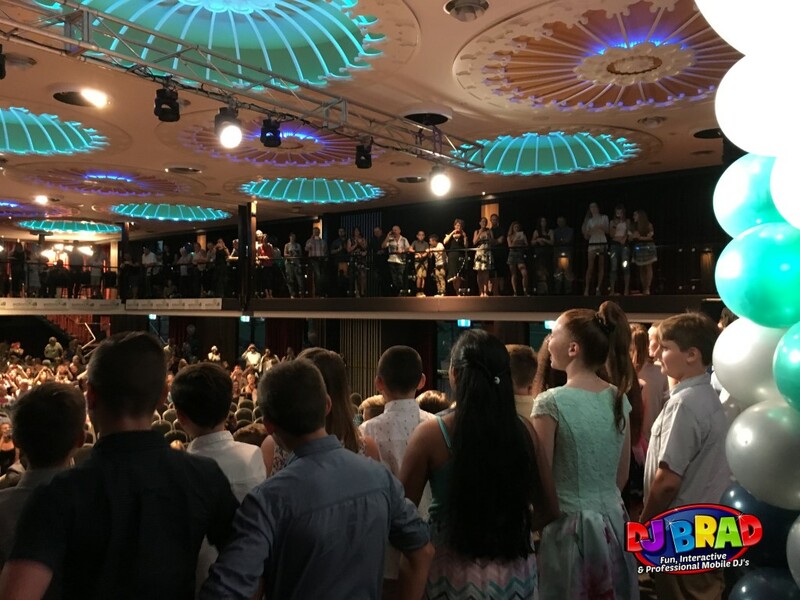 After setting up and gaffa taping all the cords down on the stage I met up with Eatons Hill State School – Ed Gordon to go through the Run Sheet and co-ordinate everything that he needed – and then started playing the Slideshow for students to enjoy as they made their way inside. Students from all of Year 6 came in with giggles and laughter looking at the ‘Before & After’ photos of everyone (including their friends) that the Parents & Teachers had supplied. Students made their way up onto the stage to receive their awards and hear about all the great things they have achieved, and then….. IT WAS TIME TO PARTY! Turned up the music and got everyone out onto the Dance Floor to celebrate their Year 6 Graduation! The students headed out and danced to a variety of Top 40 songs, ranging from all the common ones – Bruno Mars, Justin Timberlake, and did the Nae Nae & JuJu On that Beat. We had an epic showdown of Year 6 vs the Teachers which was heaps of fun – and even got a few kids up on the stage to take part into some games & activities for a bit of fun. Good luck to all the Year 6 Students at Eatons Hill State School as they move on into High School for 2017!